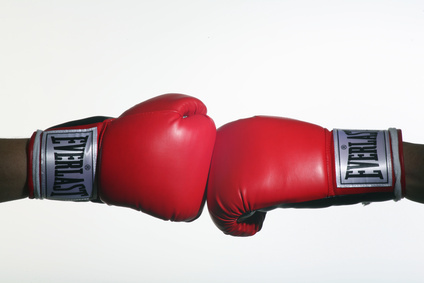 A lot of fights have been called out ranging from Google Apps vs. Office 365 to Facebook vs. Google+. The real fight though is one that does not take place on the front pages but rather between the lines. It is the fight that will decide who will be the grand winner of the cloud race. Identities are the one and only true value in consumer computing but also matter in the enterprise world. Let’s look at some examples from the real life. In the past a mobile phone was defined by its phone number. Only by the association of a phone number with a person outside the digital world e.g. by a business card a connection of the identity and the phone was created. This has changed fundamentally. The key identifier no longer is the phone number but the online identity. For WP7 you need a Live ID, for Android a Google ID and Apple requires you to be registered with iTunes. How do you identify yourself with web pages and applications? More and more applications do not require a separate registration any more but connect to your Facebook account. Lesser but also more and more web pages do the same for Google IDs and other digital IDs. Nevertheless this already shows today the importance of the identities. Each connection gives the ID provider more information. 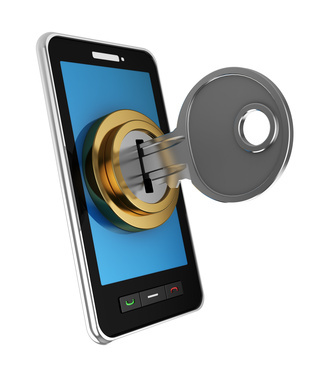 With trends like BYOD (bring your own device) the importance of identities will increase. How to differ between a business identity and a private one in a world where devices need to be tied to an identity while the device will work in both worlds is critical. Think about access management to corporate information as well as device management in a sense of patching and software distribution. While on the corporate side the identity discussions seems to be decided in favor of Microsoft’s Active Directory the consumer identity war is full on. Some years ago Microsoft was in a pole position with its Live ID. Not only delivered it great value (SkyDrive, Xbox Live connection, etc.) but also was there a drive for the Microsoft subsidiaries to push Live IDs in the local markets. It was a major item on each countries scorecard. While I do not know whether that is still true I do recognize that I do see lesser emphasize on the live ID in the market. It seems almost as if Microsoft pulled back from the identity war. This leaves two remaining contenders – Facebook, the reigning champion of social networks, and Google, the fighter of many styles that has just moved up to the heavyweight boxing of social media. While Facebook had an advantage of having been there early and a clear entry into the market of the target group of kids and young adults, Google has a clear advantage addressing enterprise needs. Google plays on both sides of the fence separating the consumer and enterprise space. Much like Katniss Everdeen from the Hunger Games, Google crawls under the fence separating District 12 from the forest. By doings so Google hunts in the enterprise forest while Facebook just stays within the consumer district. It will be interesting to see how Microsoft will react. The WP7 integration with Facebook is already high and there is e.g. no Google+ App for WP7. On the other hand betting fully on Facebook would mean giving up Microsoft’s enterprise advantage and the Live ID. Federation means a way to build a bridge between two islands of identities so that inhabitants of both islands can communicate and exchange information. In the enterprise cloud federation is a key differentiator and with social collaboration in the B2B market it becomes more important. In case you are a user of Microsoft Lync and your company has a federation in place you can chat, talk and hold conferences with partners quite easily. A federation with the internet even allows you to communicate with consumers that use the Windows Live Messenger. The value of a scenario like this is incredibly high especially if your work in a global environment. The base for this is Microsoft’s Active Directory and with ADFS (Active Directory Federation Services) Microsoft has created an interface between the enterprise and the consumer world but also between the on premise and the cloud world (e.g. ADFS for Office 365 vs. separated identities for AD on premise and Google Apps in the cloud). 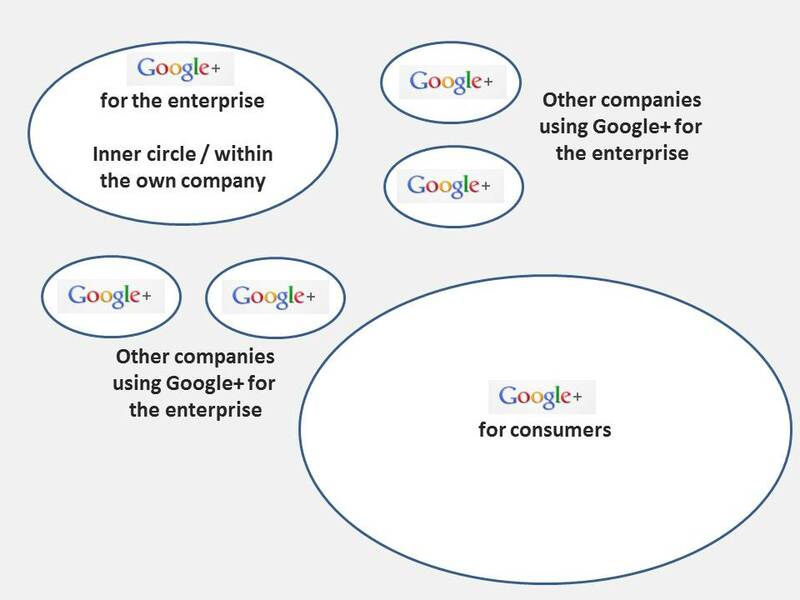 Google is struggling with federation between the enterprise world and the consumer world. This is one of the reasons why Google+ for the Enterprise is still in dog fooding only. So far a user in an encapsulated Google+ for the Enterprise environment cannot start any hangout with Google+ users in the public domain – there is a lack of federation. Issues like that show the importance of federation as well as complexities it might need to get it all sorted. I have no doubt in Google that they will figure this out over the course of the time and then Google will land the first heavy blow in the fight against Facebook. I do not see any activities on the Facebook side to address the enterprise market apart from business/fan pages which is a completely different turf. The key piece for Google probably is not technology but politics. To what degree will Google be open to discuss a federation with the Microsoft world? How would Microsoft react? On the other hand Google might look at the world and see the writings on the wall and go for a bigger change. The change from dispersed IDs towards a universal ID where enterprise environments would incorporate the employees own individual ID. That would be a bold move and a long-term strategy. Data Privacy – Who cares? A great question this is. When I was at the Google exhibit on CeBIT this year and tried to discuss Google’s approach to data privacy this seemed to be an underlying argumentation. But actually we not only should care but also have some tools in place already. The tools I talk about are the laws which maybe old but still need to be followed. The data privacy laws in Europe mainly care about PII (Personally Identifiable Information) and what else would an online ID be than PII. One of the reasons I called out the potential Google strategy long-term in the paragraph is the approach to data privacy. This is the huge advantage of Microsoft’s Active Directory in the enterprise world. It gives the control about the IDs as well as the associated information to the enterprise itself and this is where it should belong according to the laws. The enterprise is being held accountable on behalf of the employee if PII is lost or misused. Introducing a third-party into this relationship complicates things. This is true even more if we talk about identity providers on a global level. Another factor in this whole discussion is the question of the right for anonymity. 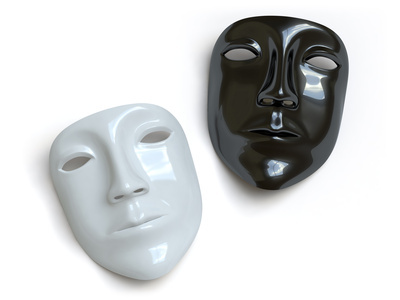 With online IDs that also will be used in the professional world anonymity will not be possible. So that would mean that individuals must have a right to more than one ID and that it must be prevented to create connections between identities. But on the other hand how can someone differ between a validated ID and an (fully legal but still) obscured ID. In Germany there are two players trying to create a market for validated IDs. The focus so far is on legally binding email communications but there is potential for much more. One provider is Deutsche Telekom with DE-Mail and the other one is DPDHL with e-post. The key for both is tying an ID to an actual person. Interestingly enough DE-Mail is supported by the German ministry of interior. This springs another idea. Why do we need to give our online IDs into the hand of commercial enterprises? Why cannot the state control these in the same way they do with ID Cards and passports? While it sounds like a great idea in the first place, it is not if you think about it globally. There are many countries where the state is not an authority to depend upon when it comes to online access, online IDs and the rights of free speech. So this does not make sense. Also it is risky if you think about changes that could happen over decades or centuries. A state perfectly democratic might change and become a bad choice to be the control instance over online IDs. Let me come back on DE-Mail and e-post for a second. 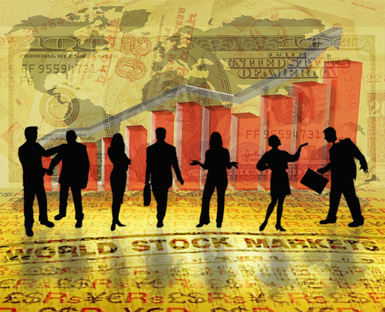 Their success beyond the local market will be decided by their respective strategies towards the global players. E-Post as an example is in discussions with Microsoft on how Live Ids and e-post IDs could work together. I was recently asked how I do see the world of cloud computing in ten years. I missed to comment on the importance of identities. I predicted a world of hybrid environments and I fully support my prediction. The key question about the war on identities is, how this will end up. But I am neither Nostradamus nor do I believe there will be one shining winner. Especially the need for expression of thought in anonymity will ensure that there will be at least two* worlds. The legally binding and connected to a human, kind of ID and the anonymous ID allowing free speech. Both worlds carry a lot of value. *probably there will be more than two, based on the fact that there will be no universal ID but several identifiable IDs in a specific context. One of the winners of 2012 will be Fujitsu. Their concept is sound technology wise and the sales and marketing approach is focused and neat. I have had a glimpse of it prior to my CEBIT visit but only the discussions I had there opened my eyes to its full potential. Let me start with one of Fujitsu’s biggest assets – the global reach. For Fujitsu acting global is not new. The company though being Japanese has many interesting roots in the different regions, ranging e.g. in Europe from Fujitsu Services with a strong focus in the UK market, Fujitsu Invia in the Nordics and Fujitsu Siemens in Germany. The range is also covering all areas of IT from HW manufacturing, IT services to outsourcing of all levels. The challenge for the Fujitsu bid teams when bidding a global service has always been to get consistent quotes from all these and many more different local companies. This has changed fundamentally with the Global cloud offering. 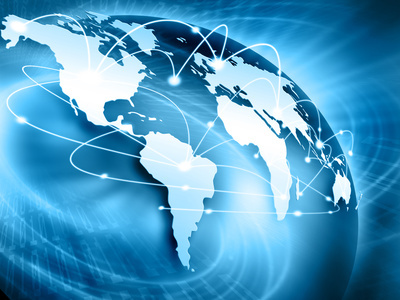 It consists of a centrally designed technology base that is rolled out to global data centers. As the mantra with cloud is standardization and scalability the Global Cloud foundation is a non-negotiable in terms individual changes. This creates the foundation for IaaS and PaaS services to customer. So far so good and you might argue that this sounds pretty much like the Amazon ECS or Windows Azure offering from Microsoft. I would not disagree and see these in a direct competition. The key question on the technology side to compare is not the servers in the datacenter but rather the question how much effort is needed to transform and existing application into a cloud application as well as to create a new one. As I am no software developer myself I need to rely on experiences gather over the years. This gives me a clear ranking in this space. The 3rd place in for Amazon as it is a proprietary platform that requires you to rewrite you complete code. The 2nd place is for Microsoft. Azure supports .net and other competing programming standards and while MSFT is claiming that application migration into the cloud is easy I have heard some voice over the years that say that extensive recode is needed for Azure as well. Given the fact that I have also heard positive stories I call Microsoft a 2nd winner being very close to the winner. The 1st place goes to Fujitsu. Its well-built platform allows migrating applications with ease and the graphic UI makes things much easier. My recommendation to you though is not to follow my judgement but rather try for yourself. 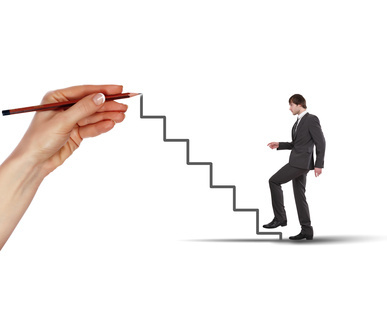 All cloud vendors do have trial programs and also you could start small and grow over time. 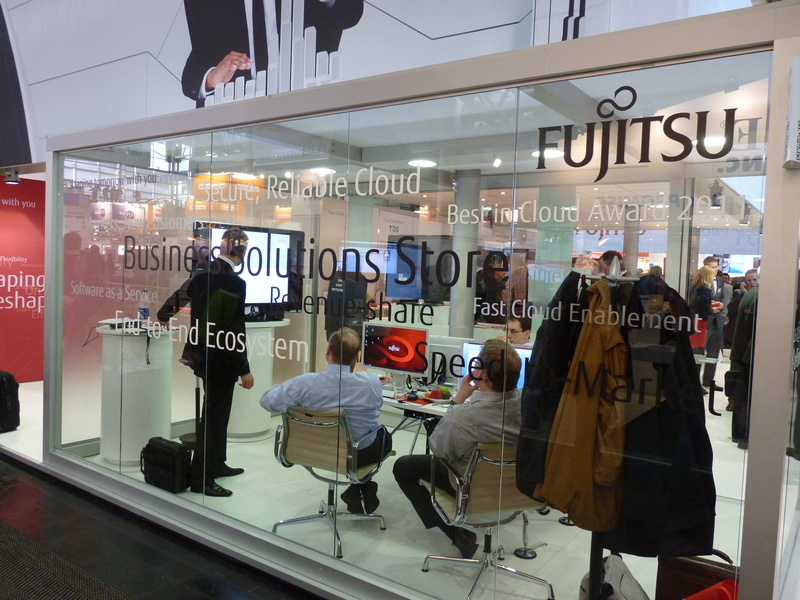 What really set Fujitsu apart from its competitors is the strategy to drive ISVs into the cloud. The major story around PaaS has always been to address two audiences, 1st the enterprises with an in-house software development and secondly independent ISVs. Fujitsu’s strategy to get ISVs on board is just fantastic. First of all it is ego free. Where Microsoft has proven in the past that they want to have access to end customers and own the billing relationship, Fujitsu not only creates a white label approach but also encourages it. There is a complete sales strategy to win and support ISVs on the way to become SaaS vendors themselves. The support not only encompasses the porting of the code base but also the basics of billing, reporting and business strategies. The billing is prepared in a way that enables the ISV to create and customer billing without hassle and the billing relationship with the end customer remains with the ISV. This is the defined strategy of Fujitsu and quite important to ISVs around the world. The top differentiator is the Fujitsu Business Solution Store. It is a marketplace for ISV applications that have been successfully deployed in the Fujitsu Global Cloud. It creates an additional sales channel for ISVs and as it is an international approach also enables local ISV to sell to customers globally without the need for a global sales force. As the Fujitsu “SaaSification-Model” is based on sharing revenues it enables ISVs to enter this world without the need of huge up front investments. So far this is the first marketplace for enterprise software of global magnitude. It is rumored that Microsoft is planning an identical approach but let’s wait and see. Video explaining the journey to the cloud. And I must not forget to mention that Fujistu won the “Best in Cloud 2011” award from Computerwoche in the category “Cloud Enabling Software”. This is a presentation discussing what too look for when wanting to become a SaaS vendor. 1st If you are an independent ISV rethink your cloud strategy and consider Fujitsu’s offering as a top alternative. 2nd If you look for enterprise software makes sure you and your procurement check out the Fujitsu Business Solution Store. I have seen some very good examples. A great example is SAPERION a Berlin based ISV with a focus on ECM. Whereas I was critical before and called their offering hosted rather than cloud (which it was at that time) they have now moved to become a true SaaS vendor by utilizing the Fujitsu Global Cloud. While I covered the idea already back in October followed by an update with news from revevol I now had the chance to talk to Google directly on the Cebit. The Google exhibit itself was pretty much Google+ focused. I had the chance though to talk to a contact focused on the enterprise market. After an interesting discussion around Google Apps and privacy, data processing agreements and the roles of resellers in the legal discussion (more on one of the following posts) we discussed Google+ for the enterprise. For those who have not come across this term yet I will try to explain it quickly. Much like social networks have transformed the way consumers interact, new methodologies of collaboration start to get into the enterprise world. Imagine the same tools you use in the consumer world to be used with your colleagues. Digital collaboration beyond email is a requirement that will challenge more and more IT departments in the coming years. So one of the ideas in this space is to create encapsulated Google+ for enterprise customers where the core groups are the employees of the company. As reported earlier something like this is in test with some customers and partners already but there was no note so far as to what the challenges are and when it will be available in the market. I have no update on any date, apart from a “Maybe in 2012”, and please keep in mind that even the consumer Google+ is still in beta. I have learned though about some of the challenges that are being reported as part of the dogfooding (as in eat your own dog food) process. Let me start by explaining what I do mean by federation. You can think about levels of collaboration. The first level is the inner core group (the employees of a company). 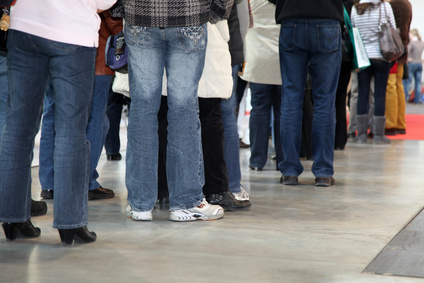 The second level would be a number of contacts outside of the own company but on the same platform and the third level is people outside and on different platforms. While Google has successfully managed to create the first level view of Google+, an encapsulated version for an enterprise customer, it is struggling with the second level. As an example a user of Google+ for the enterprise in a company can start hangouts with coworkers within the same company. But it is not possible today to start a hangout that consists of users from one company and of users of another company as this would mean bridging them beyond their own encapsulated version of Google+. 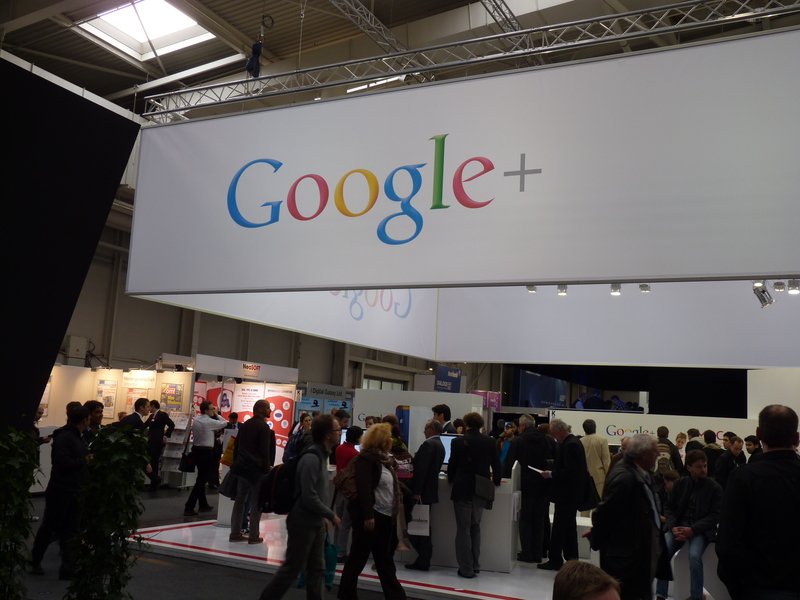 Secondly the very same challenge is in place towards the consumer version of Google+. Just to give you an idea, (even if the scope of the service is completely different) look at Microsoft Lync. Here you do have your inner community can decide federate with other companies running Lync as well and also federate with internet or in other words consumer using live messenger. The third level is even not considered I believe and I have just mentioned it for the sake of completeness. I can well imagine that Google rather wants to pull people over to their platform than to allow federation to users of other software like e.g. Chatter by Salesforce.com or Yammer. The Google team expects to get further small and big requests out of the dogfooding internally and with selected partners and customers. One important challenge is that the consumer version is still on beta. 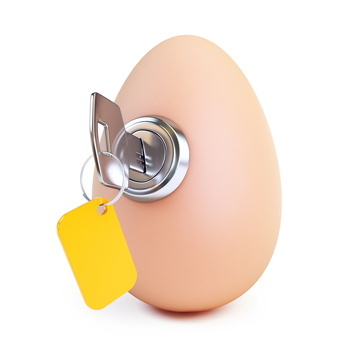 An enterprise service would need to be released, covered by contracts and given SLA’s. It seems that this will take some additional time. Overall it was good to see and to hear that Google is actively working on the transformation of Google+ into the enterprise world. And by the way I also believe that this explains pretty much the advantage Google+ has over Facebook. It is focused on collaboration rather private tidbits. Maybe the whole comparison of Facebook and Google+ does not make sense at all, and all parties calling either one dead have just not grasped the differences. We also discussed briefly why Google Voice will not be available anytime soon in Europe. It would be a great addition to Google+ for consumers and enterprise alike and challenge classic UC players in the enterprise space. It is though due to the diversified marketplace in Europe that Google is struggling. While in the U.S.A. one negotiation settles the rights for all of the U.S.A. in Europe they need to sit down in each country separately. On top of that the local telecommunications players (Telefonica, vodafone and Deutsche Telekom were mentioned explicitly) are play hardball and do block Google from introducing Voice around Europe. I tried to address other features, like ripples not being available for German-speaking users, but as I said before I talked to an enterprise focused contact it would have not been fair to grill him on the consumer features. We do see a lot of discussions about cloud services, data privacy and the Patriot Act. Apart from a general trust discussion one of the major points is the question whether data privacy laws require customer audits or not. Actually audits are an issue for both the service provider and the customer. 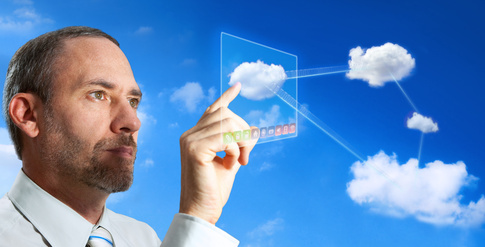 Cloud services are designed for scalability and masses of customers. Some even do mix consumer and enterprise services but let’s assume we are looking at a pure enterprise service. 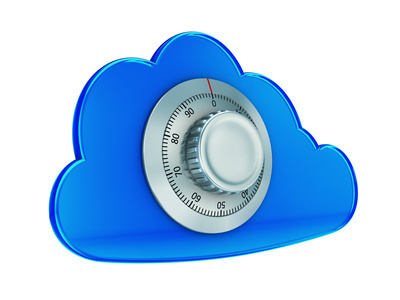 Customer initiated audits are an issue to any large-scale cloud provider. Let’s play with some numbers here, you have about 1500 customers on your service (not that many if you take Google Apps or Microsoft Office 365) and let us assume you have a contracting with contract duration of 36 months. If we now assume each customer is legally bound to do one customer initiated audit within the contract time frame you would have more audits to fulfill than days are in 36 months. Your data center probably will look a lot more like Disney Land with groups being led through it than a professional operation. Also given the fact that an audit is more than just a friendly visit it creates costs by eating up headcount as well as needing extensive preparations and post processing. If your business is bespoke outsourcing the deal size as well as the cost model would allow you to factor these audits and the effort into you cost model. With a large-scale model and even worse an on demand business model which would allow very short contract durations it is simply not doable from an economic standpoint. In case you are an enterprise that wants to move hundreds of thousands of users into the cloud you will encounter more flexibility towards individual contracts on the supplier side. But the majority of customers does not fall into this category. Another reason why providers are not in favor of customer initiated audits is the exposure of their architecture, processes and operational models. If you compare the ways multi tenancy is set up for Google Apps and Office 365 you can discover huge differences. The details of this setup are guarded as trade secrets by both providers. Doing hundreds of audits raises the risk of exposure of these trade secrets to the competition. If you have trade secrets yourself imagine how you would feel if these would be exposed. So what to do? As a provider you still need to fulfill legal obligations and enable your customers to legally purchase the service. You want to build trust with customers and authorities alike. The only way to solve this would be an external audit of your services on a regular base and the full access to the audit reports for all your customers. Make sure the auditing company is well known, trusted and operates in all the markets you address with your cloud service. A business wants to make money in the first place and there is a clear focus on its very own business needs. So auditing a service provider is not generally an initial top priority on a customer’s to do list. There are good reasons for this. First of all there is a need to understand what an audit is. An audit especially if driven by a local data privacy regulation is in place to check and document the service on several levels. Starting with physical measures like perimeter security through environmental controls and facilities like air conditioning, disaster recovery measures through to processes for operations, data privacy and finally even into HR processes like background checks etc. Not to forget the whole IT architecture, setup, procedures and so on. Even well-staffed IT departments of large enterprises do struggle to take on this extra workload apart from knowledge gaps to be closed. As a result the customer would have to involve a third-party and pay them to audit on their behalf. This creates extra cost probably not being factored into the business case for cloud computing in the first place. The question then is, if you involve a third-party anyhow, why not agree with the service provider on the third-party in advance or in other words accept that there are no individual audits and rely on the third-party hired by the service provider? It might be that you do not trust the service provider to hire a neutral auditor and to not influence the audit. If you do not trust the provider at all maybe you should not worry about audits and look for other places to get a service. 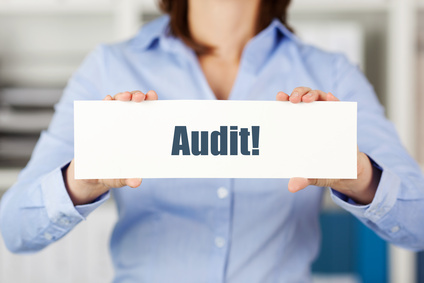 In general the auditing companies are well-known as is the scope for these audits. Your obligation as a customer is to ensure that you do get the full audit reports and get a clear view on any shortcomings and actions being taken to correct these. You need to understand the value of audits and to what degree they fit your local requirements. Let me give you an example. Many providers claim to be SAS 70 certified but miss to mention whether that is a Type I or Type II certification. There is a huge difference between these two and only by investing time into understanding these, you as a customer can fulfill your obligations. Apart from some regulations preventing the use of public cloud services more or less (e.g. in Germany §202 STGB limiting health and life insurances amongst others or the Sozialgesetzbuch §80 with regards to PII of Hartz IV recipients) there are some rules and regulations specific to certain verticals. Let me pick another German example, banking. Banking is ruled by a specific banking law (Kreditwesengesetz, KWG) and there is a regulation authority (BAFIN). §25a of this law is stating a general right to audit for BAFIN. You cannot escape this. Not complying would result in losing your bank license. So in case you are a bank and do want to use public cloud services you better ensure that your contract enables audits by authorities. And also discuss and document who covers the costs that arise on the provider side. You do not want to be presented a bill in a situation where there is no room for you to negotiate. The experience shows that providers are willing to create exceptions for audits by authorities in the contracts and I believe that is a wise choice given the fact how unlikely these audits are. Why are audits a general discussion theme then? It seems the whole audit piece can be solved by third-party audits. Nonetheless audits or the lack of right to customer initiated audits seem to be the key blocker for cloud computing especially in Europe. The right to audit is a nice excuse to IT departments in fear. Also often these discussions do take place without involvement of the legal department or external legal advisory. But to speak in general it is a fault of the providers and the authorities alike not being able to clearly communicate the rules and the approach. This leaves room for speculation and confusion where none should be. It may sound easy but it still is a huge effort, so do neither underestimate the data privacy / audit discussion nor use it as an excuse. 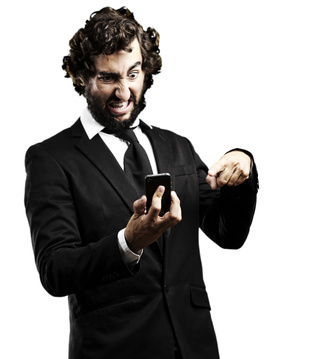 The future of mobile – User Interfaces and Devices? And on top of that the mobile device is the perfect cloud device. So where will it be going. Many predictions do say that gesture control will be the next big thing. This is something that started with the WII games console but only really became true with Microsoft Kinect. This sensor bar was first available for the Xbox360 game console but is now available for the PC as well. On the forefront of these predictions is Mercedes-Benz. This is a surprise but their vision is that you can e.g. control the radio via gestures, wink left and right for previous and next track and up and down to tweak the volume. I am not sure whether this is really a great idea. I imagine the old lady running into the front of the nice Mercedes with the notion “The driver waved me over the road and then ran over me”. So maybe gestures are an interesting way of controlling a GUI but not in all surroundings. The same applies to mobile devices I do believe. Neal Stephenson lately had an interesting view on what happens if people from the time of 1910 would be transported to the 60s he would be completely confused while someone from the 60s transported into our time would be able to adjust as there have been no major changes. Keeping this story in mind imagine what it would look like if the people in the street instead of operating their touch screens would wave in the air. It would look like a lot of madmen on the run. It would be the exaggeration of “Texting While Walking”. I just cannot see this happening. But what can I see happening? Actually there is a lot you could think about. The mobile phone embedded in a tooth is an old spy movie idea but isn’t that something we almost have already in the sense of headsets? So SciFy and spy movies it is to look at? Why not, since it was Star Wars that set the rules for the design of tablets (only they forget to claim a patent on it). Google is just rumored to create another movie fantasy for real and bring it to the market. The glasses that create an augmented reality and even create a controllable menu through head tilts for scrolling and clicking. Compared to gestures as described above these head movements are reported to be almost indistinguishable for passing people. While I do see applications in museums or tourist in a new city and even navigation system purposes (more on bikes rather than in cars) I do struggle to see each and everybody with these glasses. But on the other hand nobody would have ever imagined all the people with mobile phones and smartphones so it could well be that this is the next step. If you keep thinking SciFy, holographic projections would be a nice thing and only that the power needed is preventing this so far. 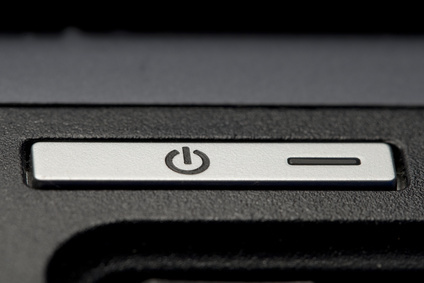 The need for power might as well be lowered as well as more clever solutions to store power in mobile devices. So that is not that far off. Also with 3D entering the film making market and filmed content being the #1 content on mobile devices 3D will probably be the next step there as well. And if you extrapolate 3D where will you end up? Holographic projections will be that next logical step. One issue though remains with holographic projections and that is privacy. Imagine sitting in the subway and the guy next to you projecting the latest movie, maybe “Mission Impossible XII – the Zimmer frame mystery”, while the lady next to you watches the latest Bollywood movie and you trying to get a grip on the news. Not to forget that advertisement probably will pick this up first which will be a major nuisance? This would not happen with the augmented reality glasses though as they create an individual view that combine local position with personal favors. So if gesture control is not mega breakthrough on the device front? Will it be the “one device suits all needs” story? The computing power within the devices is growing and the question arises why one would need a computer next to it. Some early tries to use e.g. a Samsung Galaxy Nexus as a computing device are going on. Actually it is quite a good idea but then again we see the multitude of devices exploding with different form factors for phones and tablets. This is an indicator that probably one device for all will not happen (who wants to pull out a full-blown tablet to answer a call?). But actually it can reduce the number of devices and surely is a trend to watch. One of the huge challenges resulting from this will be the extended version of the headache “Bring Your Own Device” requests create in enterprises already today. So for this trend to become reality not only the devices need to evolve but also the methods and tools to manage these. It will be interesting to see when content creation applications will appear on these devices which are content consumption mainly so far. It could well be that Windows 8 can bridge the consumption vs. creation barrier with a nice integration of Microsoft Office. On the other hand lots of content nowadays is created within social networks and here Google is on the forefront of thing. They do have the mobile space in sight as well as the social networks. Especially with the upcoming inroads into social collaboration with in companies (Google+ for the Enterprise) Google is in a pole position for success. Let me come back to the story of the device in the tooth or the implant. There are two reasons I do not believe in this vision. First of all it opens all the floodgates towards a tracking and controlling even Orwell would have not imagined. In 1984 there was this little unobserved space in the apartment. This would not have happened with an embedded device. So I believe privacy concerns will, rightly prevent this. Secondly something that is embedded cannot add to the image. You cannot show it off unless you open your mouth for inspection or carry your X-Rays around. And let’s face it one piece of the success of the iPhone is that people perceive it as cool and it is a showy object. Finally let us look at drivers for inventions. One driver for sure is the western world where feature phones just would not generate revenue and growth anymore. So innovation is the driver for future success. But as we have seen above the area of innovation is kind of limited. Sure you could create the bracelet-phone with the ear-ring headset but these are just alterations of what is already there. Software makers are looking into approving the UI and the control features and hardware makers will embed these into TV set, etc. But as explained earlier the use on a mobile device might not be the cleverest way for gesture control and while we are at it, voice control has been around for a while and even with the success of Apple’s SIRI it cannot be called out as the next generation of mobile device control. It would be interesting though to talk the own house much like Sheriff Carter does in Eureka. The second driver is what goes on in Asia and Africa. 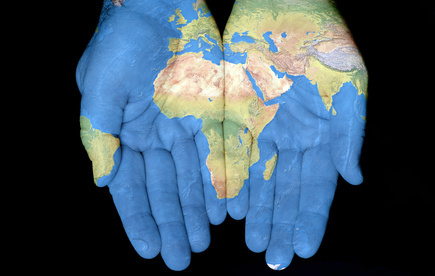 Have a look here for a view on the African story. The emerging areas will certainly shape the devices of the future. I could only guess but given the fact that these areas often start their journey on a completely different infrastructure foundation other needs will emerge. One trend for sure will be the mobile phone as the most trusted device for financial transactions. While in the Western World this is unthinkable due to the well-established backbone of banks, in the so-called third world this might be different. Another thing these areas probably will call for is more resilient devices rather than the pretty but highly sensitive devices sold currently. Another software feature needed in the future will be a user management on the device. Today a phone is bound to one user. This probably would not be sustainable in the poorer parts f the world but with the phone also being a computing device a user management would make absolute sense. A logical consequence would be providers evaluating the way they create and submit claims. Maybe the SIM card is not the right way to do so anymore. And then there are the two most important features of all. Weekend Special: Do businesses and consumers care about the ethics of production? Let’s start with a simple example. Apple has been in the press now since mid of 2009 when the first press reports about suicides at the production facilities appeared. Ever since the work conditions are a constant theme in the press and in social media. So from an ethical point of view it was and is at least questionable to go for Apple products. Especially as child labor is part of that story as well. Has this had any impact on the sales of Apple products? 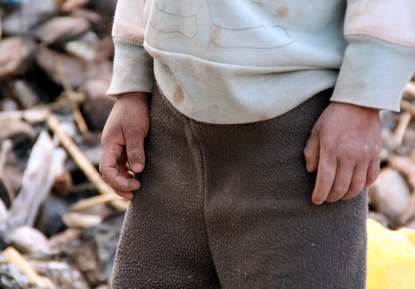 While on the one hand the western world criticizes China and third world countries for the abuse of workers in general and kids in particular, the products and those who benefit from the work conditions are idolized, as long as they belong to the western culture. Sounds hypocrite to you? Yes, but who am I to judge. I do have an iPod myself (though bought before 2009) and I must admit my buying decision did not factor in working conditions in the past, neither for technology nor for other products like clothing. Ask yourself, did you consider investigating whether there are reports about abuse and factored that into your decision? That is the consumer side of things. What about enterprises. Lots of enterprises do have strict rules with regards to their corporate ethics. They ensure that their own standards apply even in a globalized world. But they do stop at just the point where the consumer and the corporate world merge. Apple devices are getting a stronger foothold in the enterprise world due to “bring you own device” approaches as well as being cool products that “improve” the image of the user. But this is where enterprises might take a stronger stand to defend their own ethics. I yet have to discover a report about a company banning Apple products until the work condition disputes have been solved. Let’s move beyond Apple as this post is not about bashing Apple. They are just the most prominent example. The point is that some rules need to change. And maybe some other tactics need to be called out. I have not seen any RFP (request for proposal) so far that includes questions about work conditions and asks for guarantees in that area. It is time for enterprises to include these topics into their decisions. We are talking about corporate ethics being extended beyond just the employees employed directly but towards the complete supply chain. If we expect that world changes for a better than the only leverage is buying power. Laws, in a globalized world, will only change slowly if ever. Companies are there to create profit. 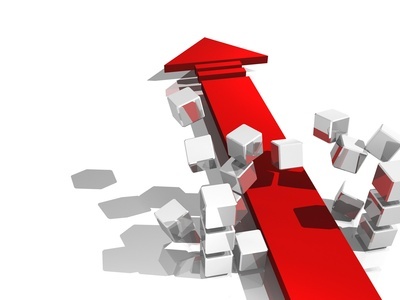 You can improve profits in two ways – more sales or less cost. Companies will try to achieve both and that is just about right. But there is a balance or in other words connection in between these two. You can impact one by changing the other. This is where a company will start to decide what will be better in the long term, minimized cost but reduced sales, or optimized but not least cost while a steady sale is ensured. For enterprises this is a step that can be achieved much easier by setting rules for procurement of goods and services that include work conditions in the whole delivery chain. Consumers though need to take individual decisions and with campaigns like in Germany that proclaim, cheap is cool, and the more dominant image of a product, it will be more difficult to turn this around. But if you think of it, there is another way to attack this. Trigema is a German based company that produces and sells clothing. The reasons why I mention it here is the way they do advertising. Rather than putting the price in the foreground or product features not to speak of prominent figureheads, their main strategy is to emphasize that their production is completely domestic. It is a completely different approach but imagine e.g. Nokia advertising the Lumia 800 with a slogan like “Produced in the European Union, 100% free of child labor”. Imagine this not somewhere on the bottom in fine print but bold and center. Would that put the competition on the spot? Even if the product might be slightly more expensive it would be something to be talked about. It is a little bit like Deutsche Telekom and T-Systems putting an emphasis on the fact that their cloud services, for consumers and enterprises alike, are delivered solely from Germany and therefore out of grasps of the U.S.A. and their Patriot Act. A common reaction is that all the companies are the same and there is none the better. This is indeed an impression one could get. This is why I believe actually that an aggressive advertising strategy could pay off. And also it is not until one starts by and for himself something changes. By setting an example, individually and also as an enterprise, things hopefully change for better. I really like the Superbowl half time advertisement “Halftime in America“. It got me thinking why products that sell with a incredibly high margin like the iPhone and the iPad, are regarded as American products? Wouldn’t a little less margin and a production in the U.S.A. or even a slightly higher price work as well? Would that not address many areas and improve not only the products delivery ethics but also create jobs? But again I sound like I hold a grudge against Apple, which I do not! Will I myself make these consideration part of a decision? I will try to and probably not always succeed. Does this mean I would not go for Apple products, just to come back the dominant example from above? I am not sure. But I am sure I will keep an open eye on developments and reports about improvements or lack of. Editorial Note: This is not one of the typical posts on http://www.cloud-discussions.com. Therefore it is featured as a weekend special. Please browse through other posts on http://www.cloud-discussions.com as well.